Hybrids may be found in a variety of habitats. In some lakes they may prefer fairly flat, shallow, sandy areas. In other lakes, typically the larger reservoirs, they may prefer the more rocky habitats located directly above or below the dams. 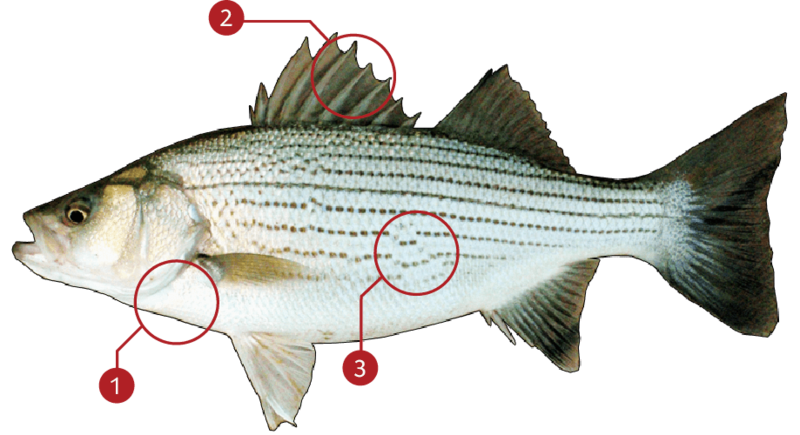 Best fishing for hybrid striped bass occurs just after sundown or in the early morning just before sunrise. They are caught primarily on artificial baits which resemble gizzard shad. Imitation shad that rattle have proven to be successful at many lakes. In addition, many anglers have been successful using live bait such as night crawlers or soft craws.